MEGASTAR berthed in Tallinn on 27 January 2017. 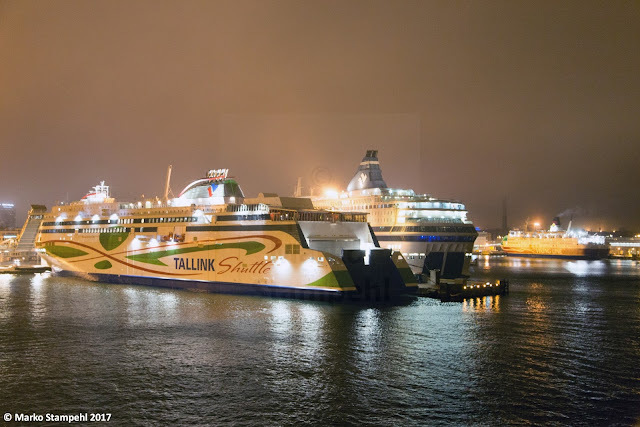 On 29 January Tallinks new LNG-powered shuttle ferry MEGASTAR entered service between Tallinn and Helsinki. 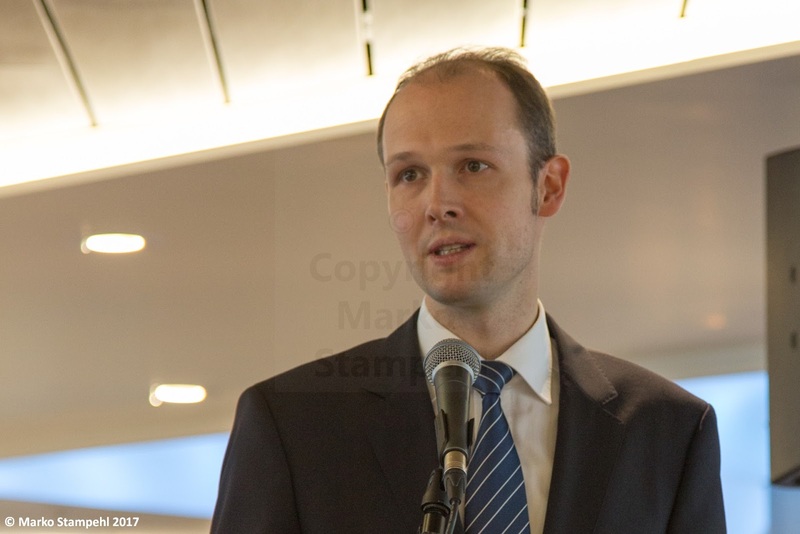 Two days earlier, a press conference was held on board to present the new ferry to the media. 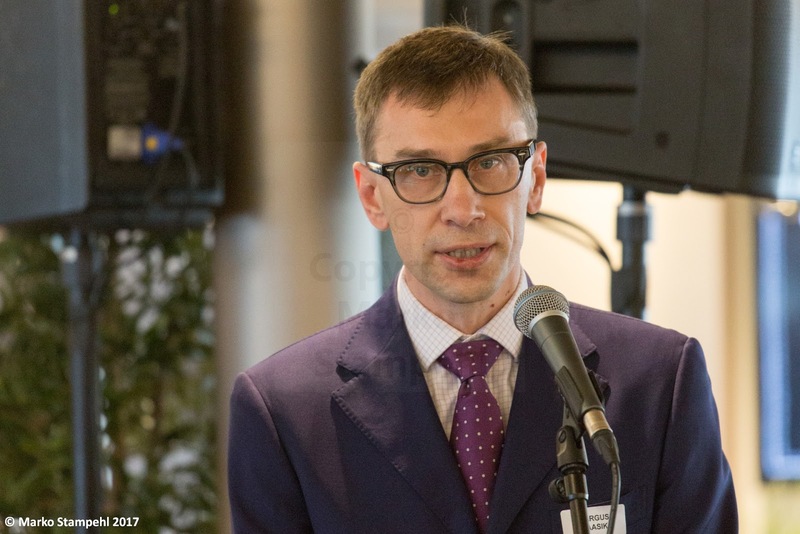 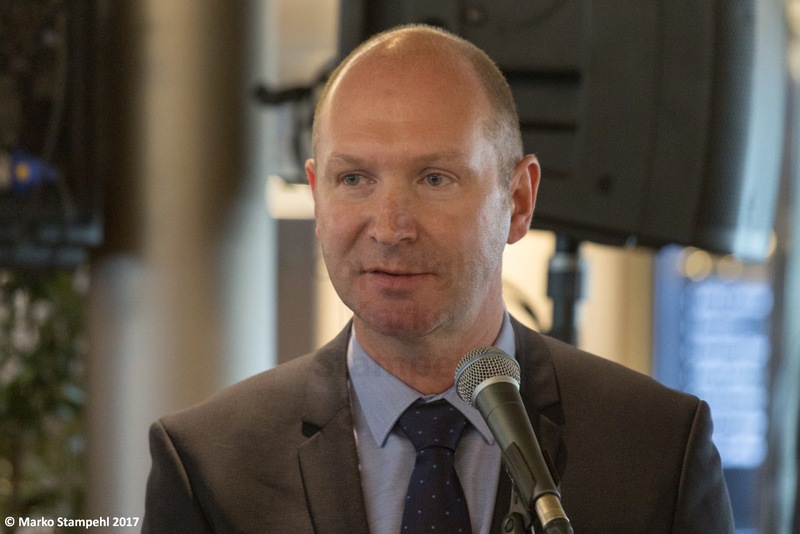 By invitation from Tallink Silja I participated both in the press event on 27 January and the maiden voyage(s) of the MEGASTAR on 29 January 2017. 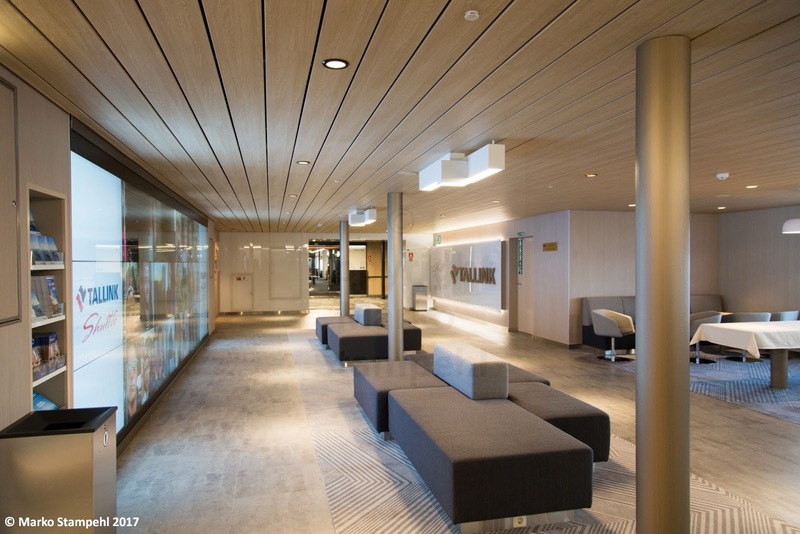 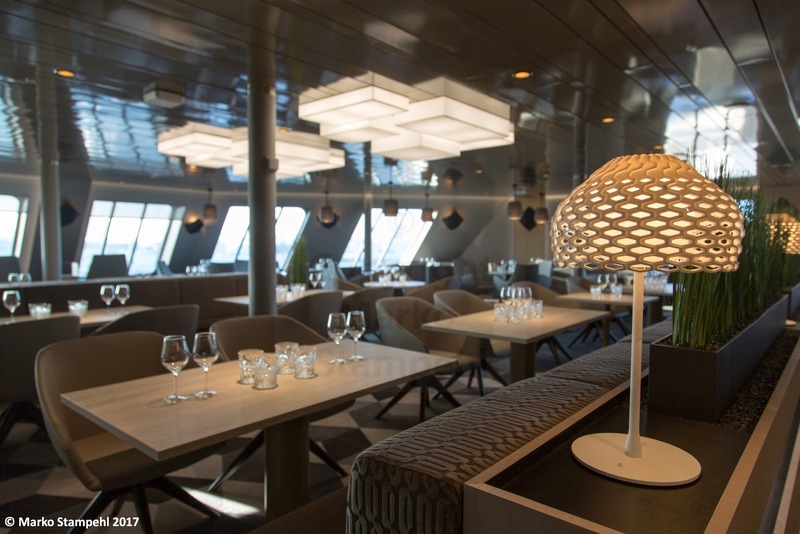 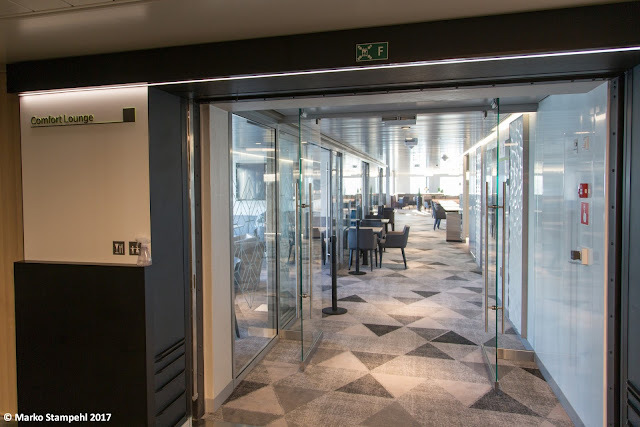 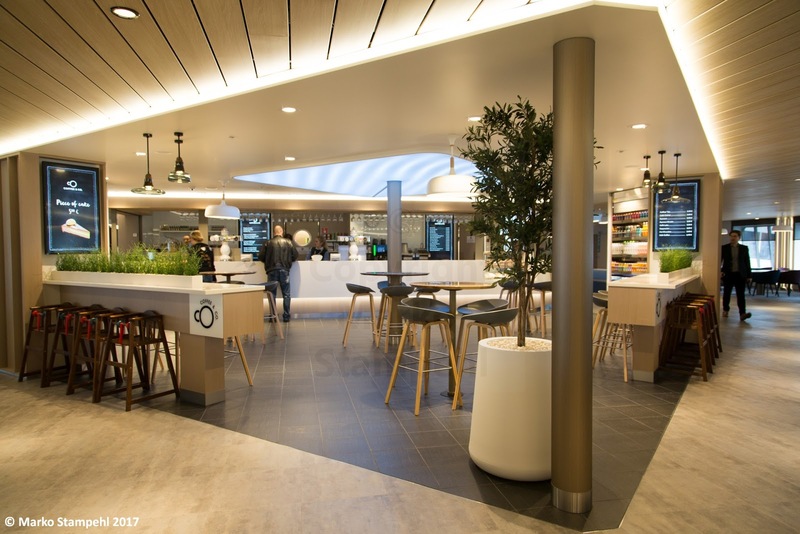 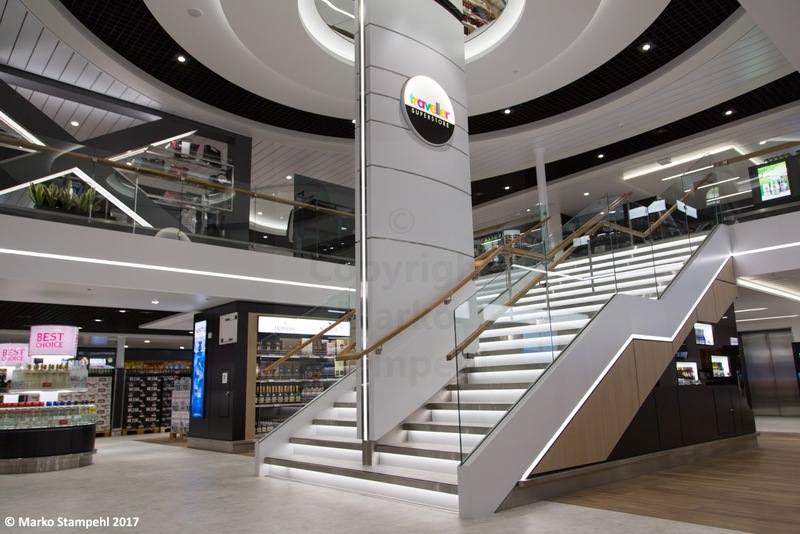 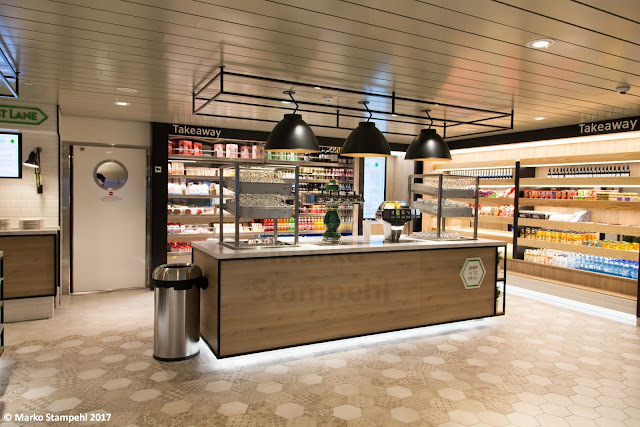 Here is a pictorial report, giving an overview on the interiors of the new fast shuttle ferry which since 29 January plies between Helsinki and Tallinn on a 2-h-crossing, doing three round-trips a day. 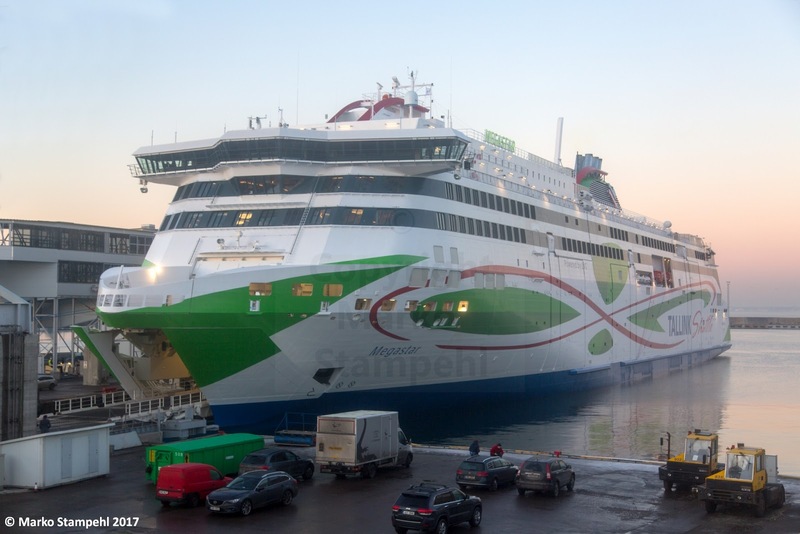 MEGASTAR berthed at Tallinn. 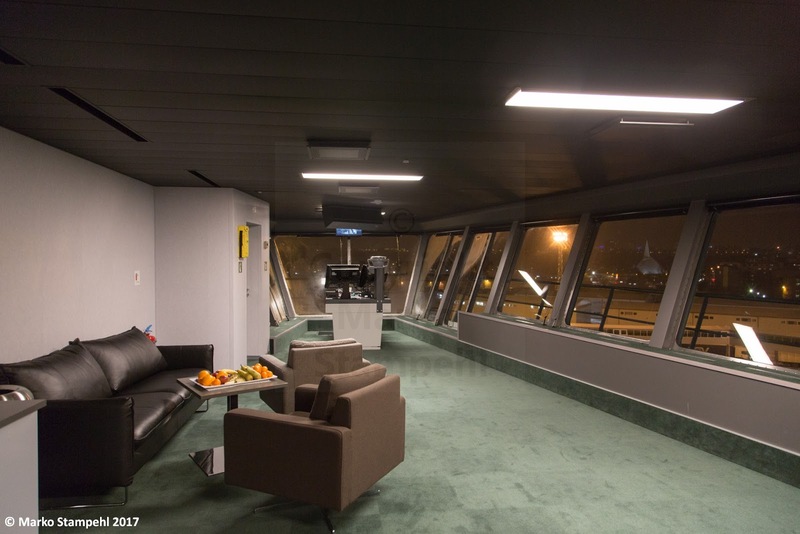 The new gangway to the D-Terminal, which is currently being expanded for even more passengers, is here seen still under construction. 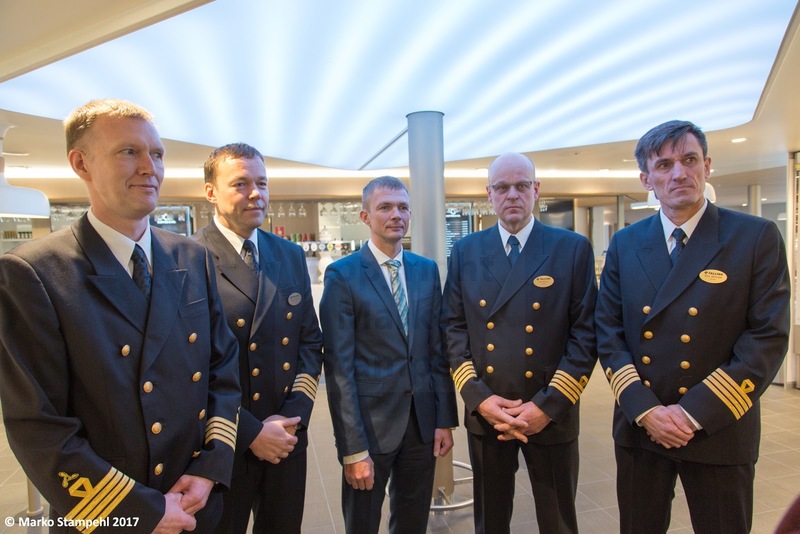 One Chief Engineer, all three Captains of the MEGASTAR and Janek Stalmeister, CEO of Tallink Grupp. Second from left is Vahur Sõstra, Chief Captain of the ship. 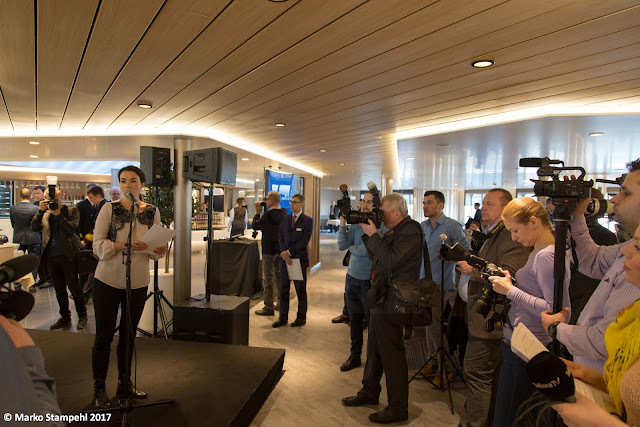 The press conference (27 January) was held in the lobby between the Coffee & Co Cafeteria and the Lobby Shop. many different countries attended the event. 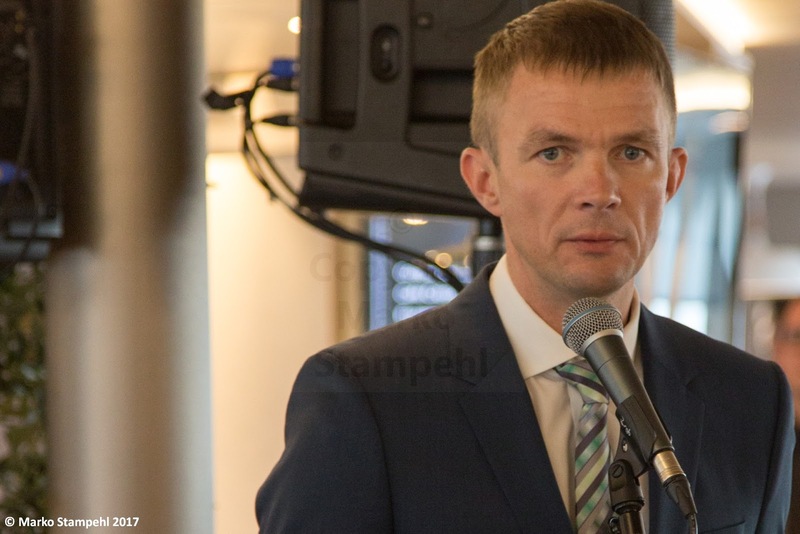 The largest group was from Finland with more than 60 people. 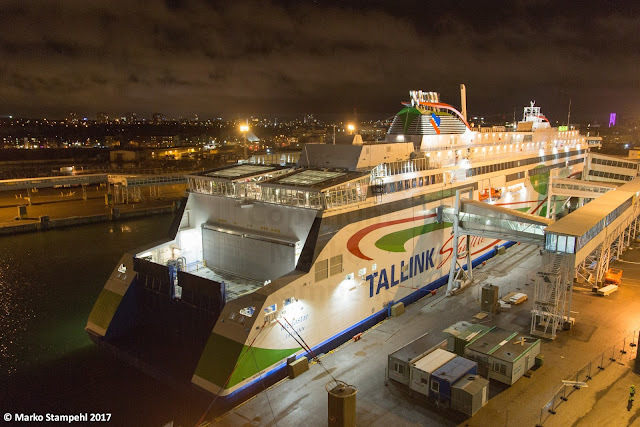 Tarvi-Carlos Tuulik, Technical Project Manager of the MEGASTAR, Tallink. The press conference was followed by a tour of the ship during which it was quite difficult to take photos as there were many people around. 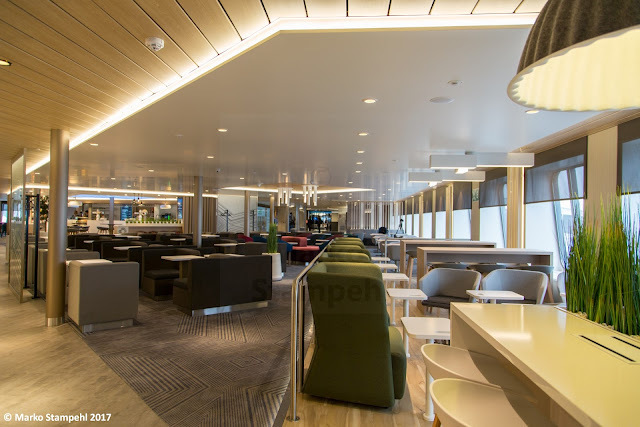 I was happy to have a second chance to take photos when traveling with the ship on her maiden voyage. 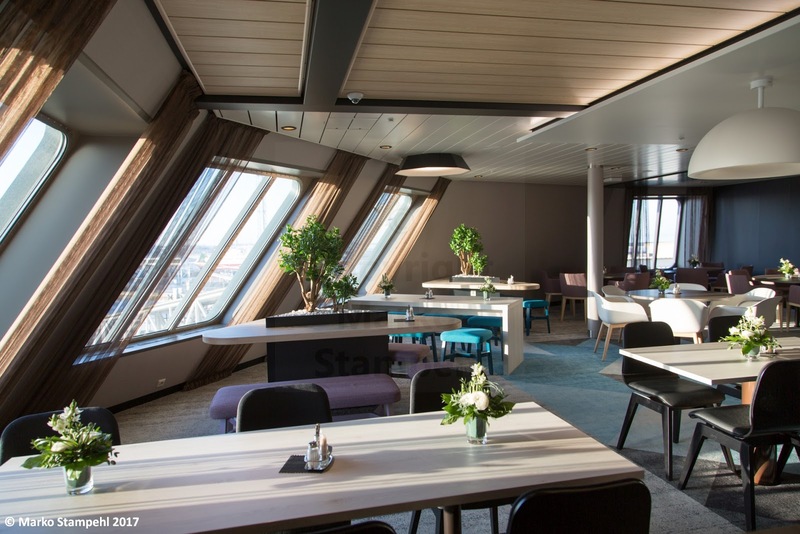 In between the press event and the maiden voyage two days later I squeezed in a trip on the SILJA EUROPA to Helsinki and back to Tallinn on the very last sailing of the SUPERSTAR in Tallinks service (the ferry, which the MEGASTAR has since replaced). 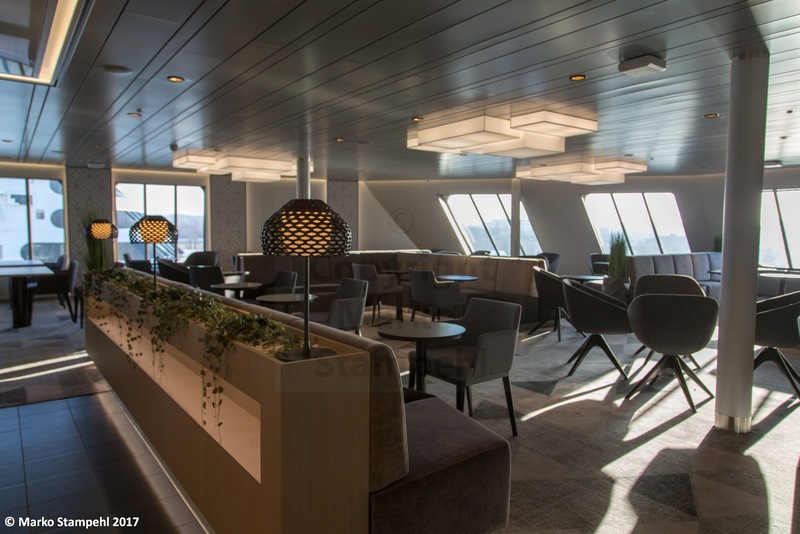 Photos of the newly refurbished SILJA EUROPA and from the last trip on SUPERSTAR will follow here shortly. MEGASTAR in Tallinn in the late evening of 26 January 2017, seen from on board SILJA EUROPA. 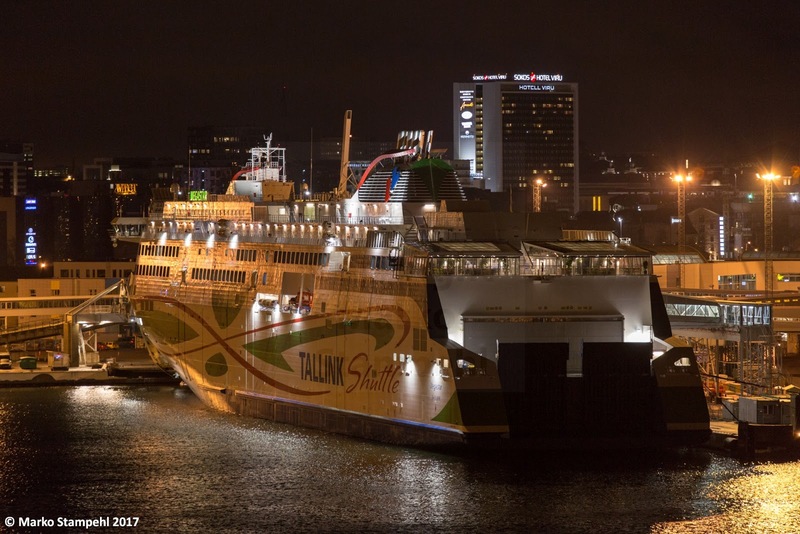 MEGASTAR in Tallinn in the evening of 27 January 2017, seen from on board ROSELLA. 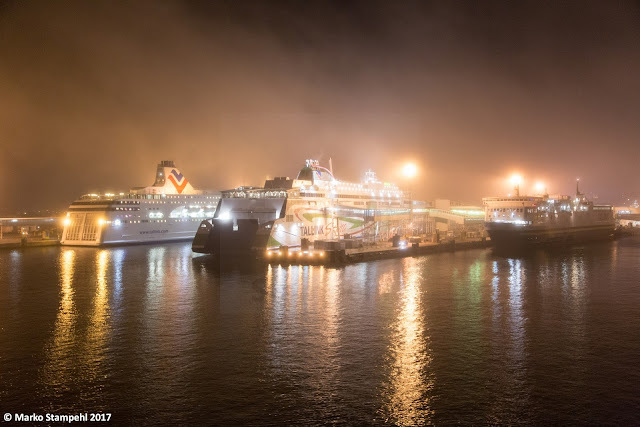 MEGASTAR in Tallinn shortly after midnight on 29 January 2017, seen from on board SUPERSTAR which was on her final arrival to Tallinn. I did my very first trip on the MEGASTAR in the Business Lounge. This photo shows the entrance area of the lounge. 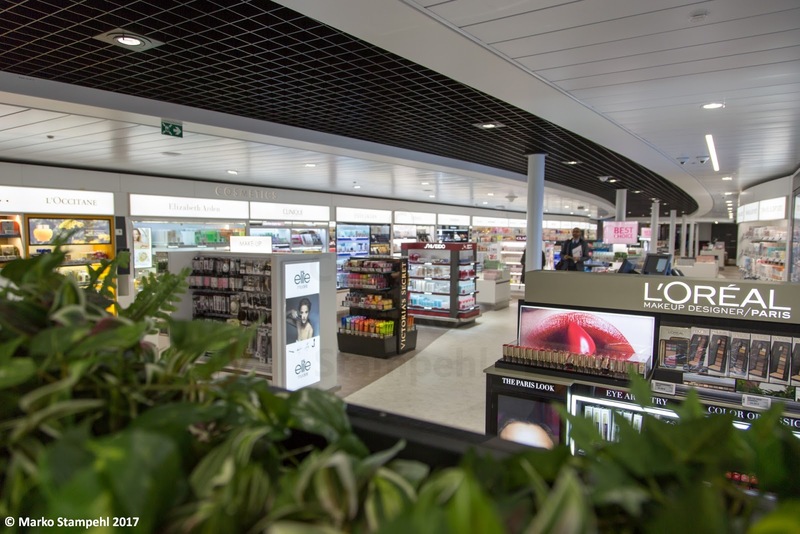 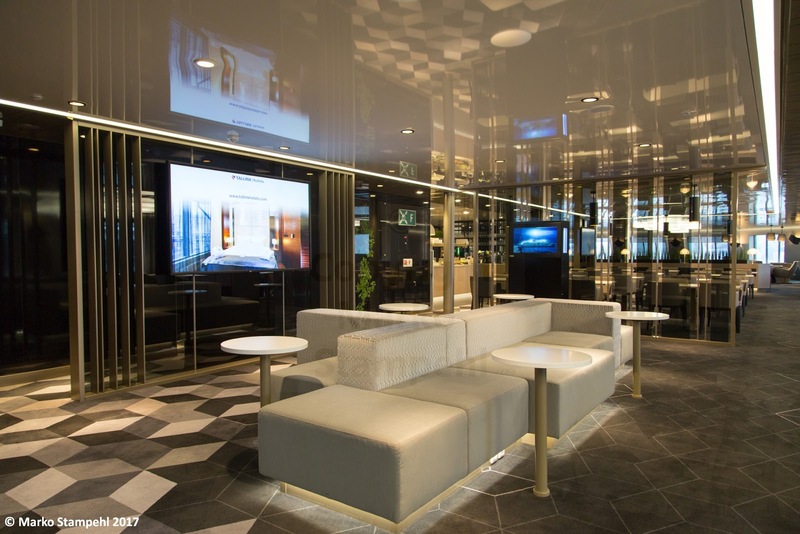 The Business Lounge costs a premium of EUR 65, and offers a quiet separated area, ample space, snacks and some warm dishes, sweet snacks and beverages (including alcoholic). 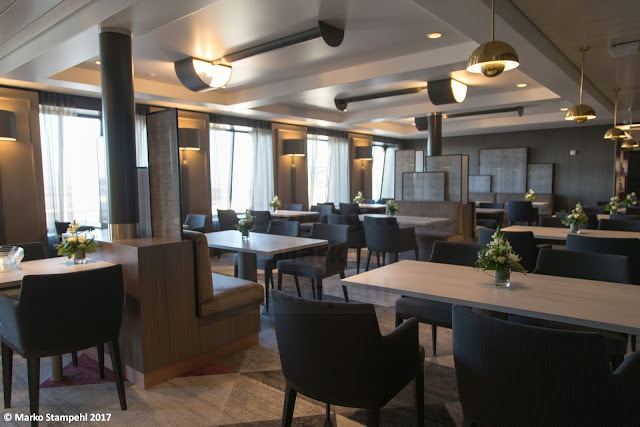 The Business Lounge is situated in the forward area of the ship, on deck 8.
Business Lounge: Comfortable seats with a view, right in front of the large windows facing forward. 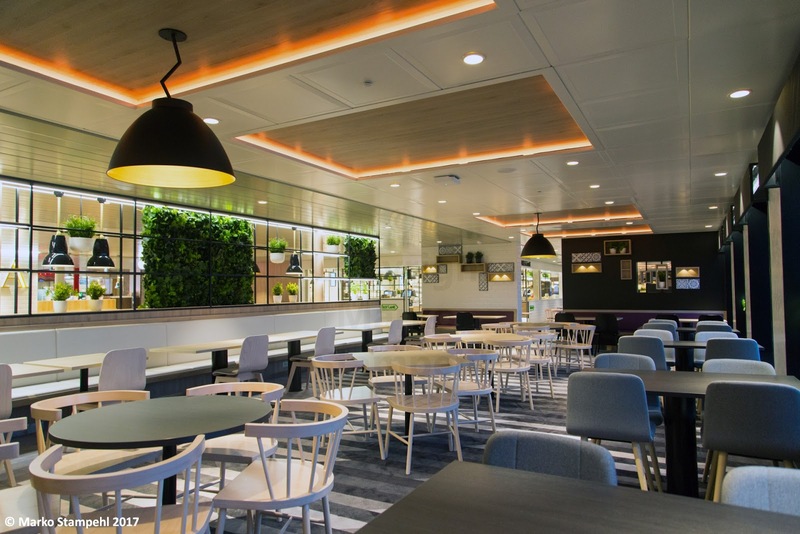 Business Lounge: Comfortable seating also for thos enjoying their meal. The Buffet area within the Business Lounge with food and drink stations. A shelf (seen here in the background) offers a selection of products from the ship's superstore, partially at reduced prices. Entrance to the Comfort Lounge, which is also located in the forward part of the ship on Deck 8, directly adjacent to the Business Lounge. 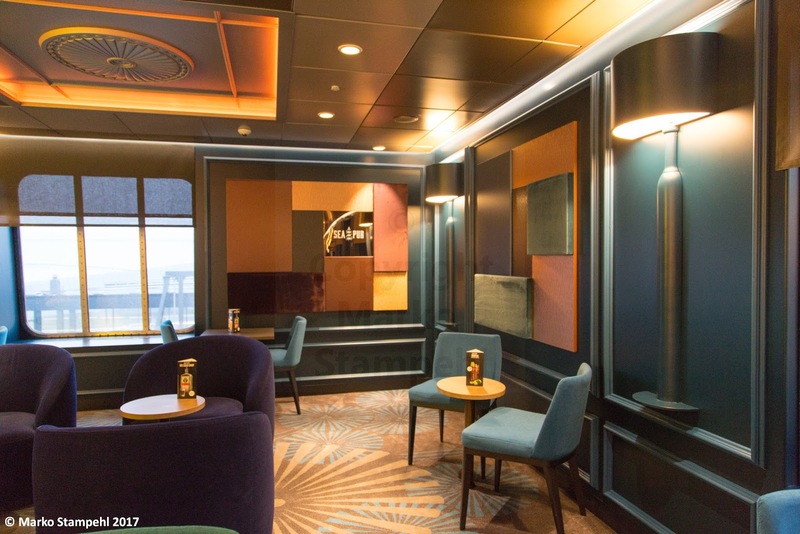 Inside the Comfort Lounge. 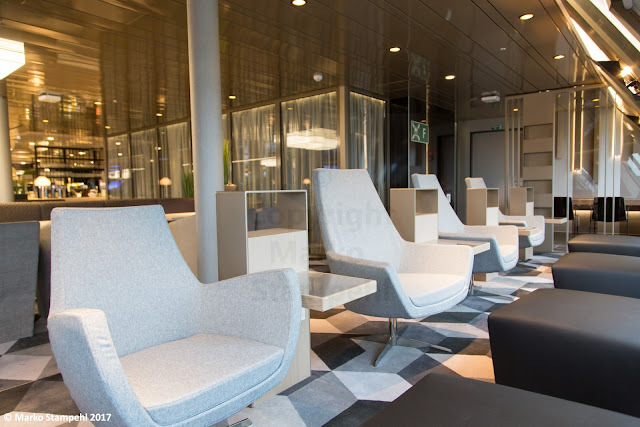 To travel in the quiet atmosphere of this lounge, a premium of EUR 20 has to be paid in addition to the ticket price. 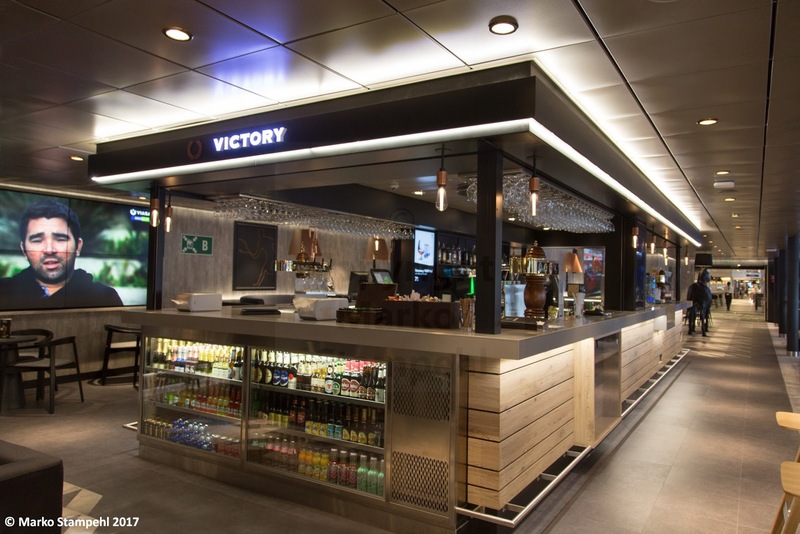 This includes light snacks, softdrinks and coffee. 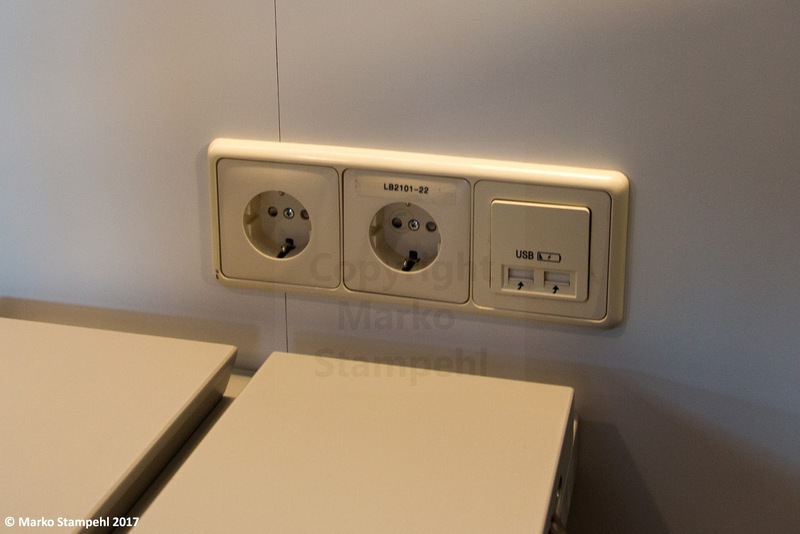 as well as in restaurants and bars. The entrance/lobby area close to the reception desk and the Coffee&Co bar on deck 9. 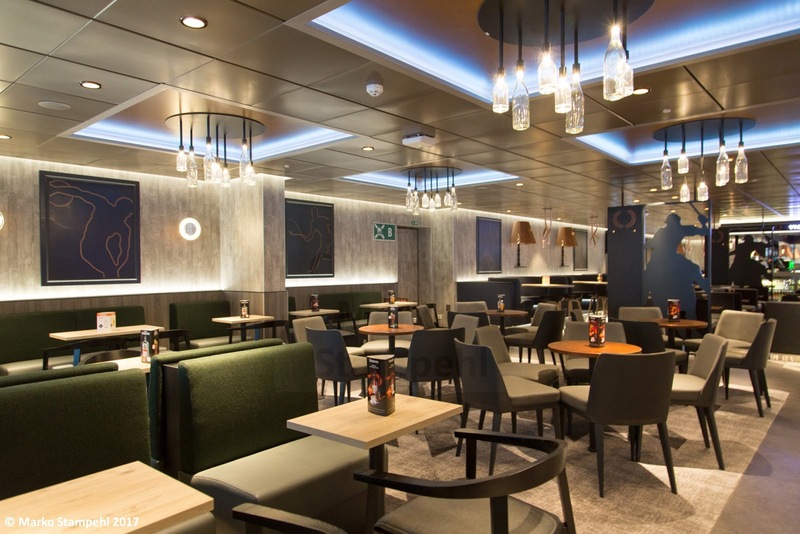 Coffee & Co. on Deck 9 is offering small bites and drinks. 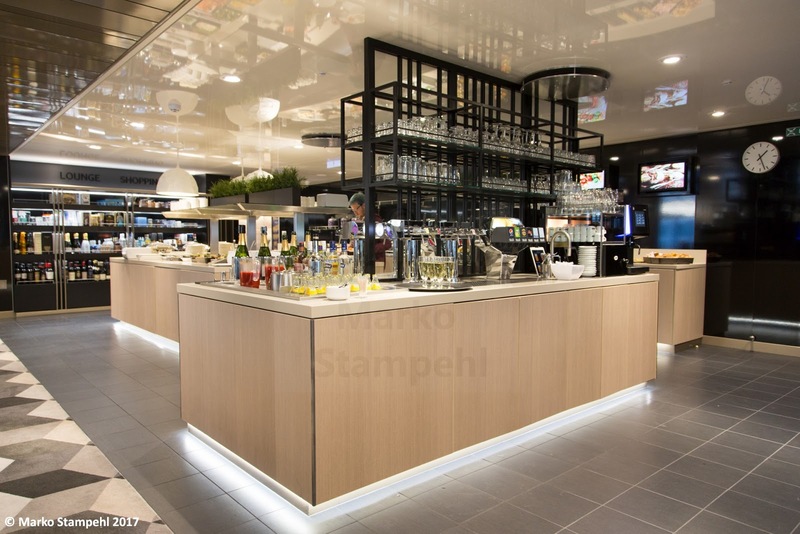 The continuation of it's bar counter serves as the information desk. 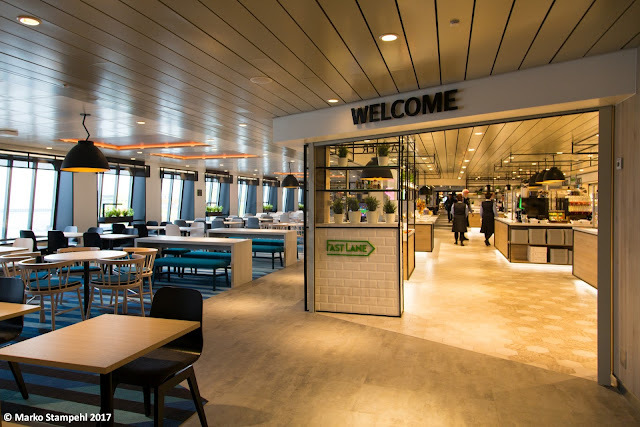 View of the Lobby area with Coffee & Co. in the background. 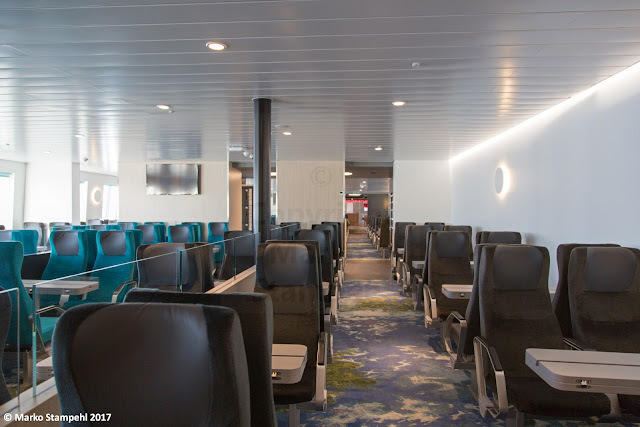 Note the great variety in seating arrangements. 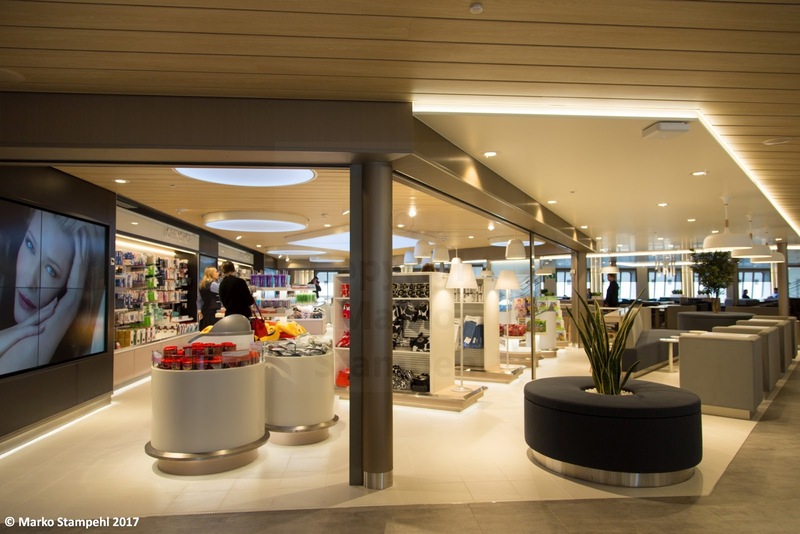 The Lobby shop offers souvenirs, magazines and newspapers and travellers gadgets. 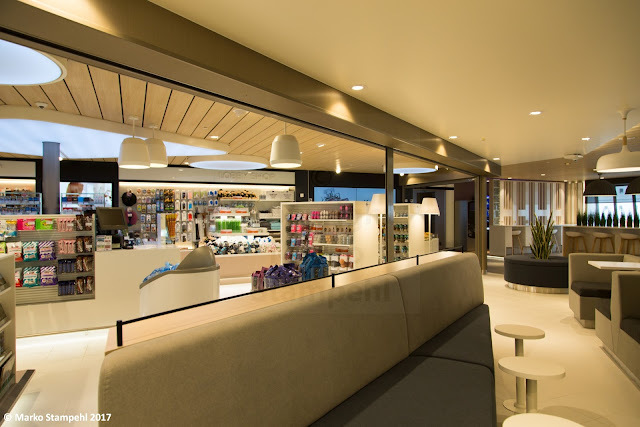 The Lobby Shop is located directly adjacent to the seating of the Lobby area, with no real delimitation, except for when the shop and it's roller shutter is closed. At the entrance to the "traveller superstore", the largest shopping area onboard a ferry in the Baltic Sea. 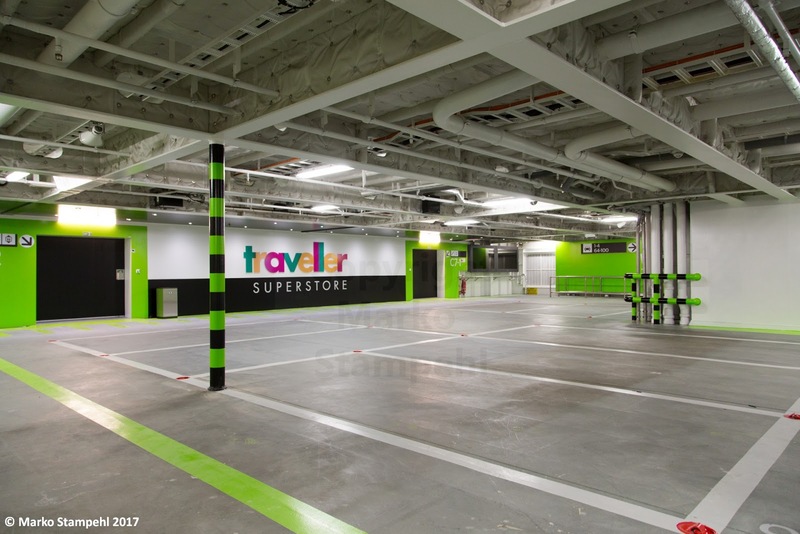 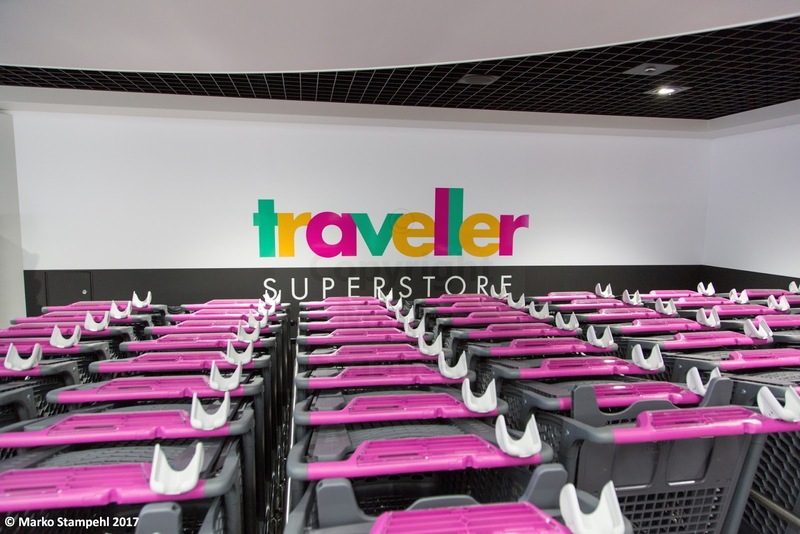 The "wow-effect": two-storey "traveller superstore". A special car deck, called "parking garage" is located on Deck 7 directly adjacent to the traveller superstore. Passengers who have parked their car on this level, which looks more like the car park of a shopping mall ashore, can bring their purchases to their car during (!) voyage. 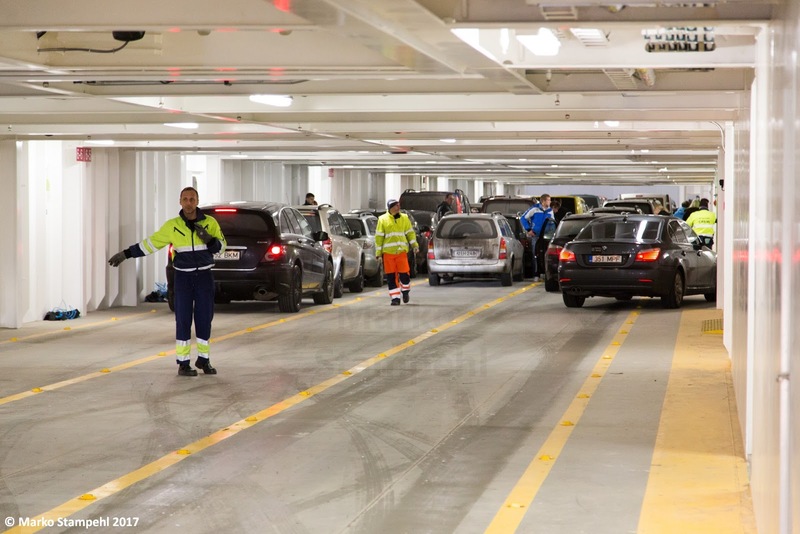 Access to the other car decks on board continues to be blocked during voyage. 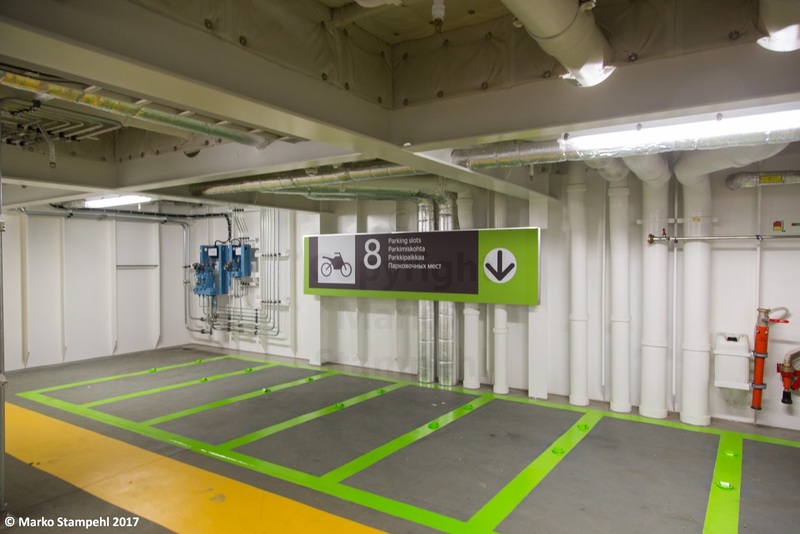 Car deck 5 for passenger vehicles. The lower car deck (Deck 3) (mainly) for trucks. 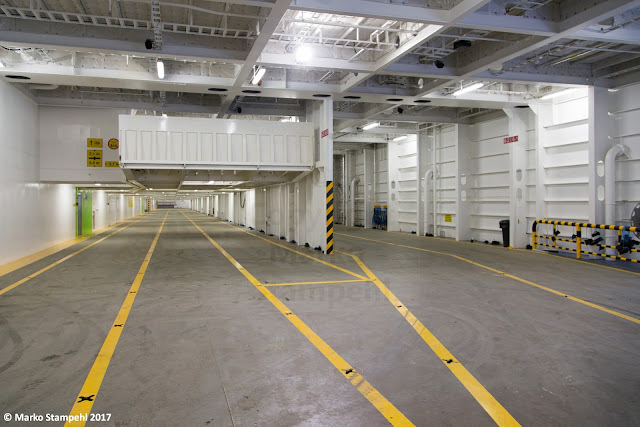 Deck 5 with spaces for private cars to the left (in two levels on Deck 5 and 6) and trucks and buses (right). 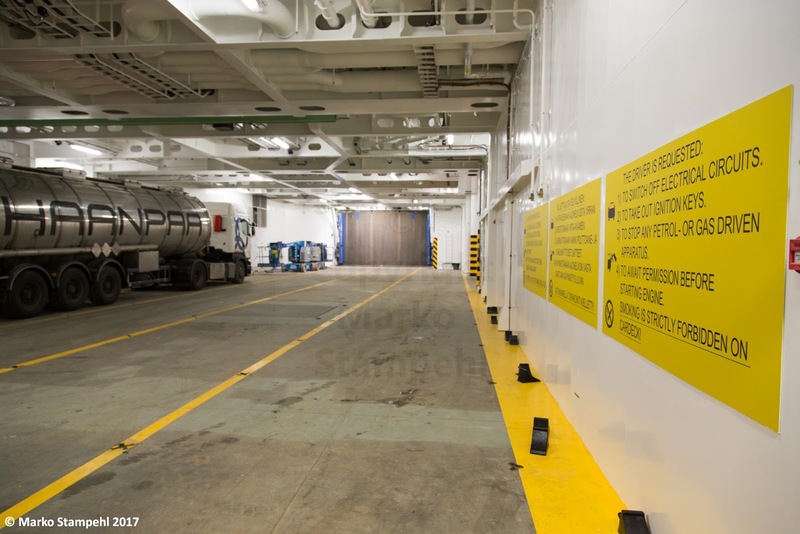 Nice detail on the car deck on Deck 6: special area for motor cycles. 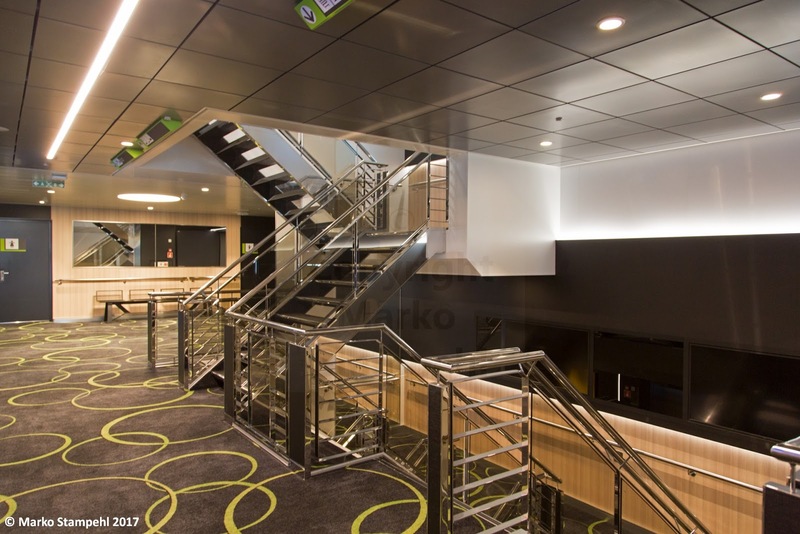 One of the staircase lobbies on MEGASTAR. 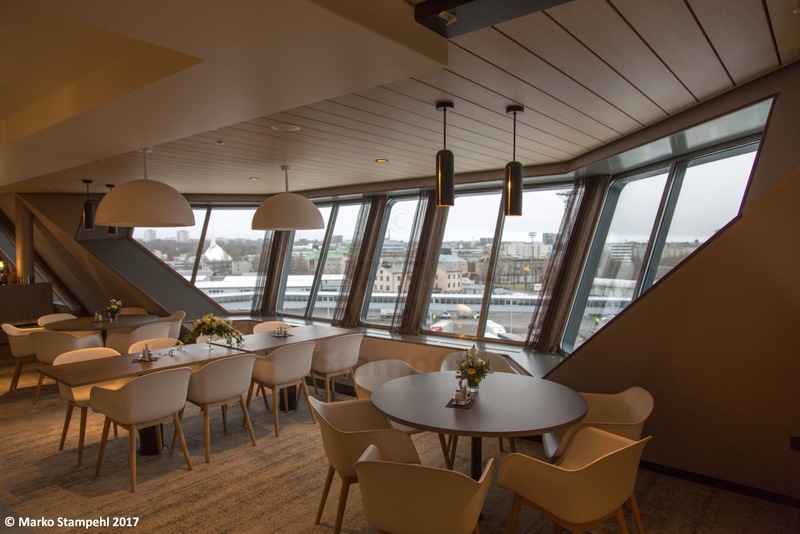 Another "wow"-place on board: the large window in the front of the Delight Buffet restaurant, directly below the bridge. 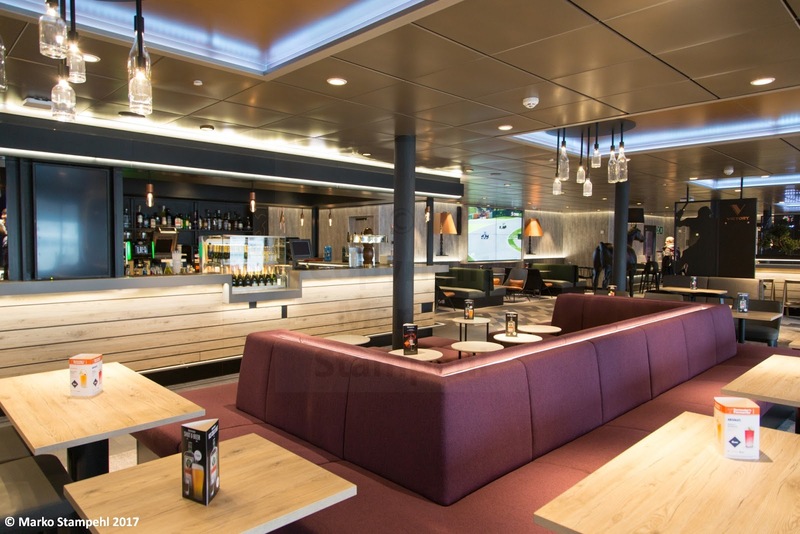 Also in the restaurants, the seating arrangements are very varied, instead of a uniform look. Food stations in the Delight Buffet restaurant. 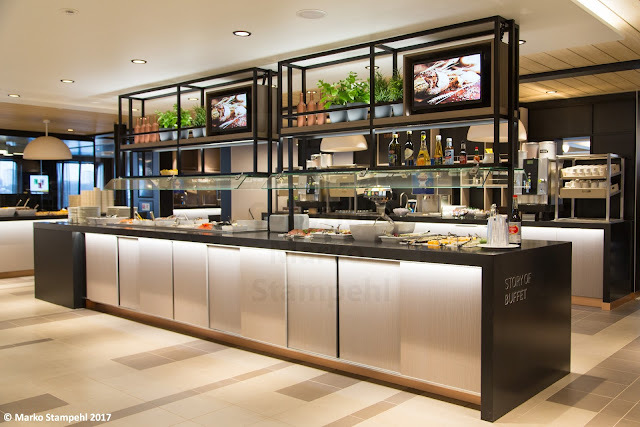 "Chef's kitchen" is the à la carte option on board, a separated are located within the Buffet restaurant. "Fast Lane" offers cafeteria style fast food (except for burgers). 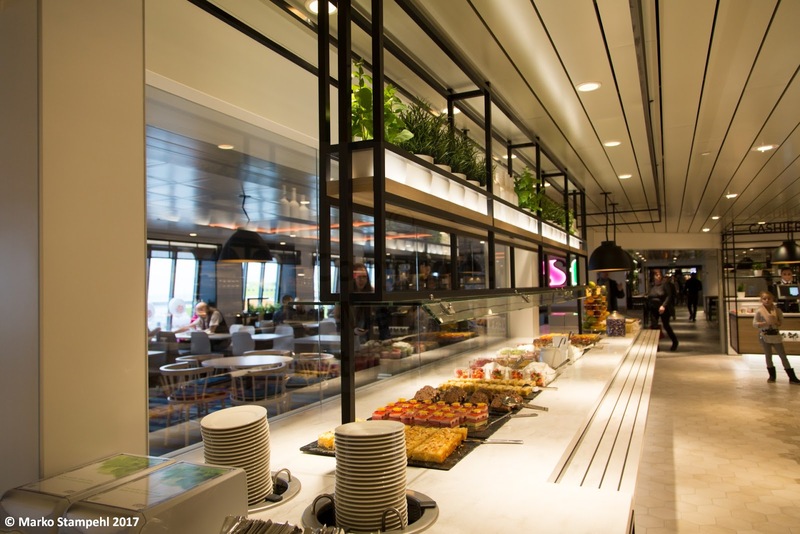 Sweet delights on offer at "Fast Lane". 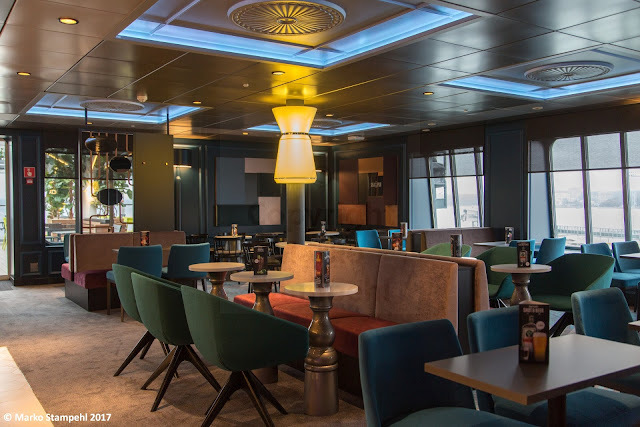 Seating area belonging to the "Fast Lane" Restaurant. Beverage station and shelves with takeaway food and beverages at "Fast Lane". Cozy atmosphere in the "Sea Pub" located in the aft part of the vessel. 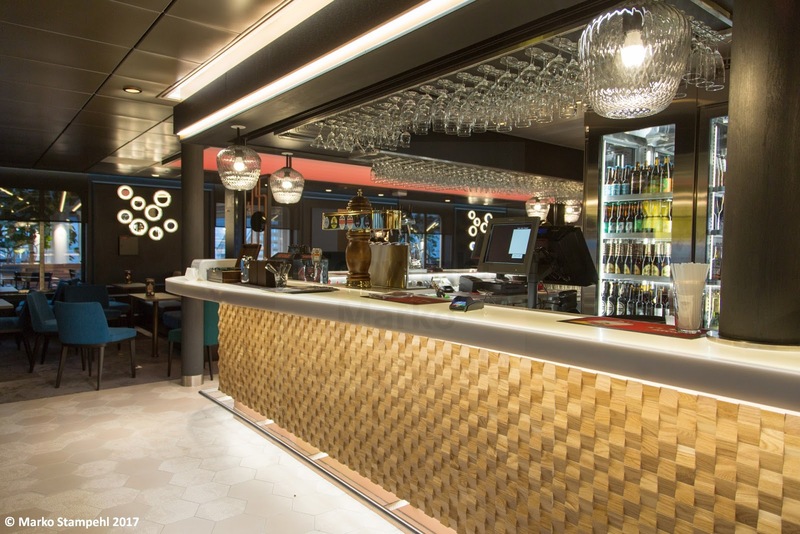 Bar counter of the "Sea Pub". 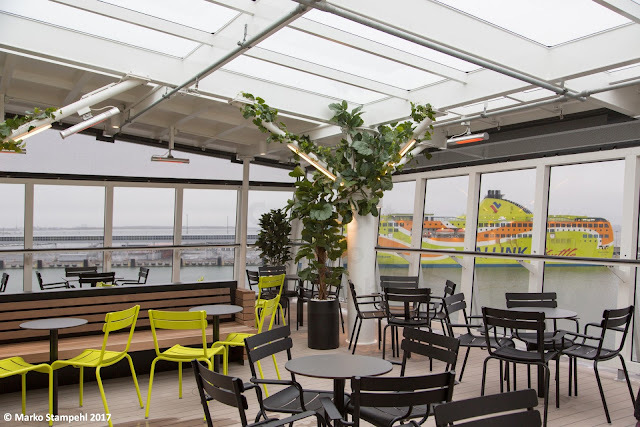 Winter garden at the vessel's stern, adjacent to and accessible via the Sea Pub. 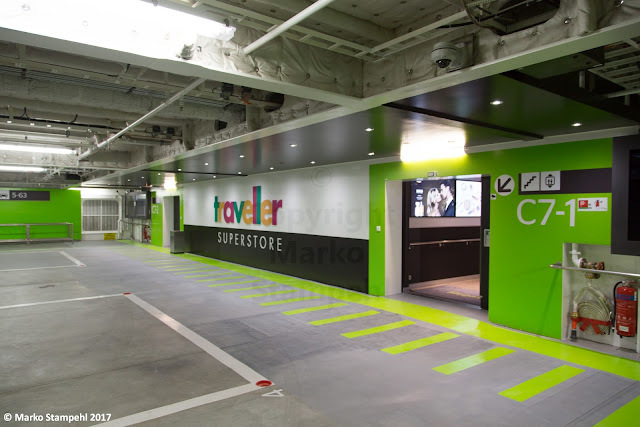 Note the SUPERSTAR in the background, which has been replaced by the MEGASTAR. 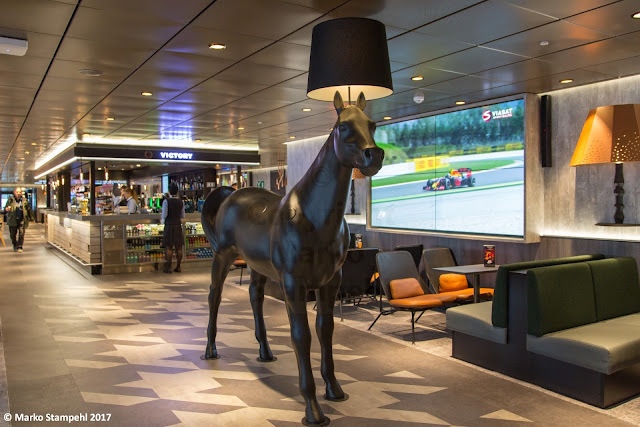 One of the "talks of the town" on board the MEGASTAR: a life-sized horse serving as a huge lamp foot in the "Victory Bar" which is a sports bar. A-Class outside cabin. The MEGASTAR offers about 40 cabins, including one cabin for disabled persons, two cabins suitable for passengers with allergies and five cabins for passengers with pets. 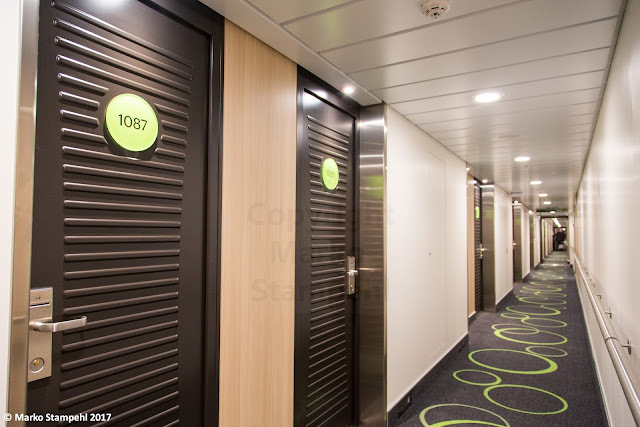 Cabin aisle on Deck 10. 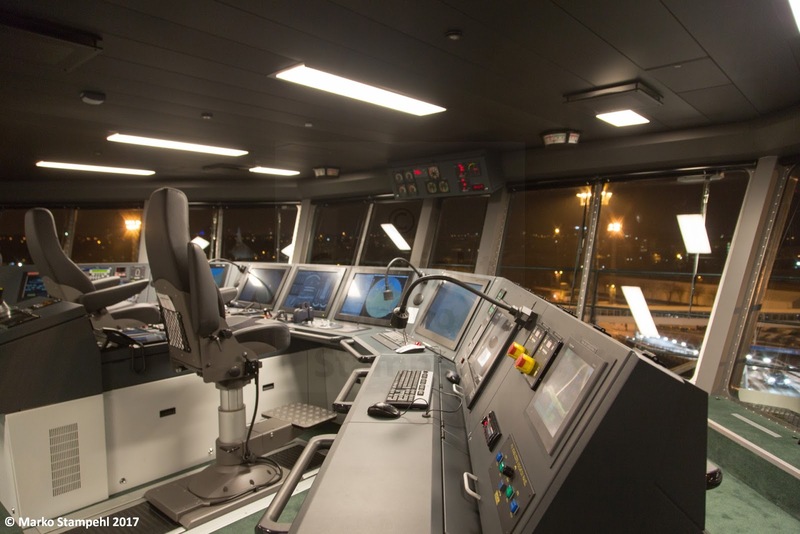 The cockpit on the bridge of the MEGASTAR. 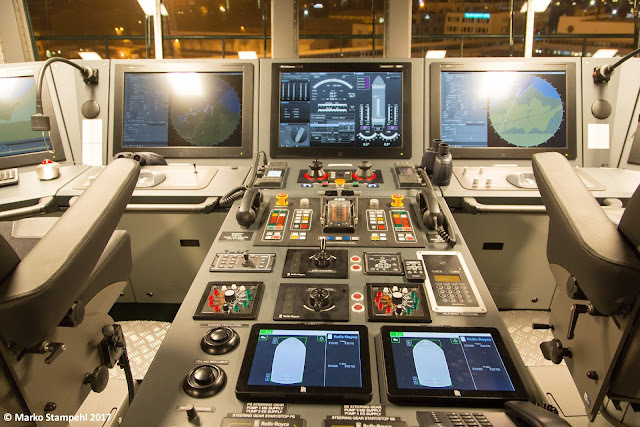 The main panel of the cockpit of the MEGASTAR. 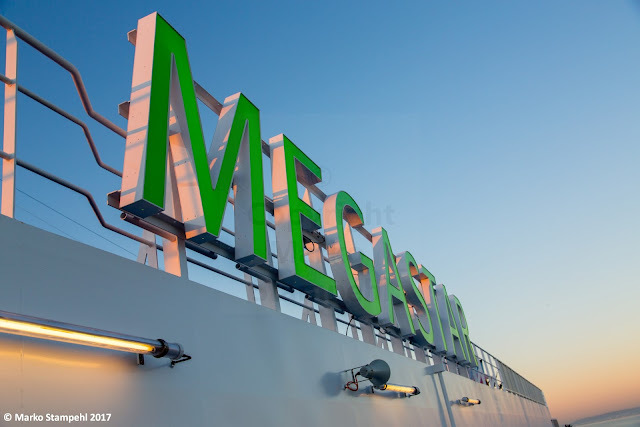 Port side bridge wing of the MEGASTAR. 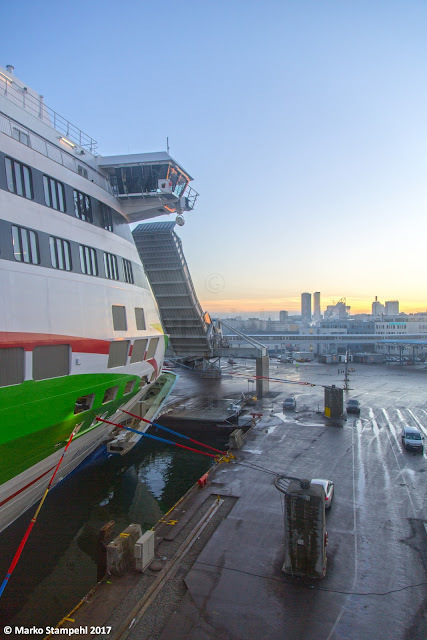 fantastic new Shuttle ferry of Tallink draws to the end. 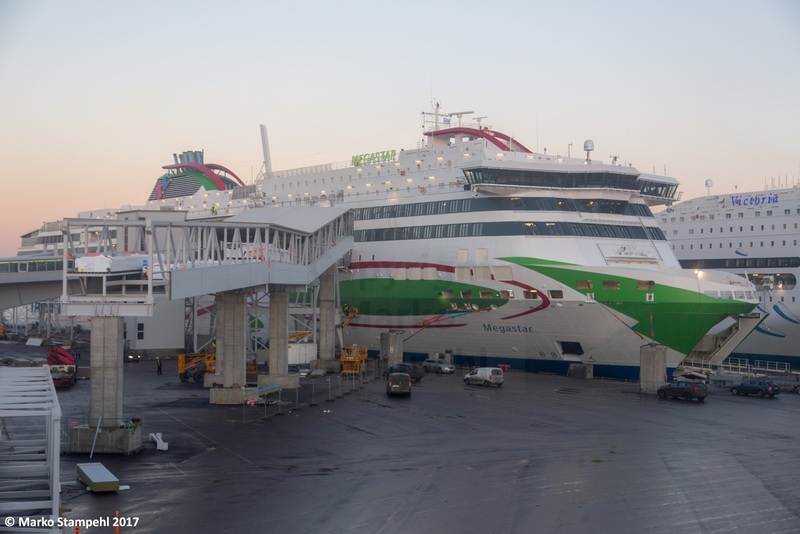 MEGASTAR is truly a fantastic new ship and definitely the best ferry on the two-hour route between Tallinn and Helsinki. 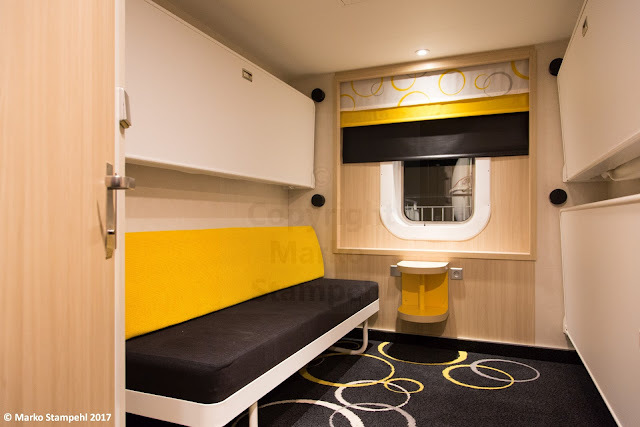 Time and experiences by her passengers and crew will show whether her great design will also work and function in the stressful daily hazzle on board. Surely a lot of things have been thought of when designing this ship, giving credit to the claim "MEGASTAR - shaped to be perfect", which is used on a lot of merchandising products. 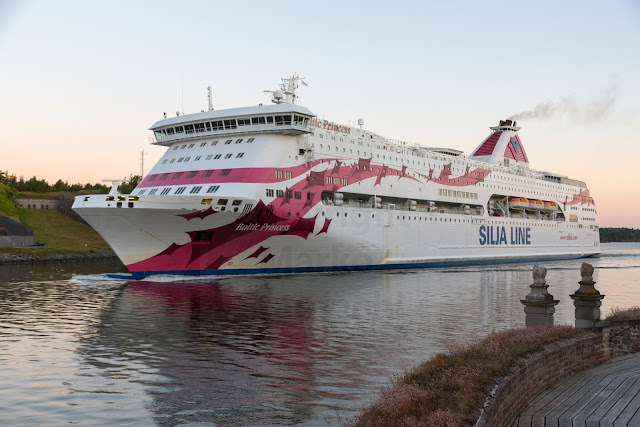 Next time you want to cross the Baltic Sea from Helsinki to Tallinn or vice versa, make sure you book yourself on the MEGASTAR. 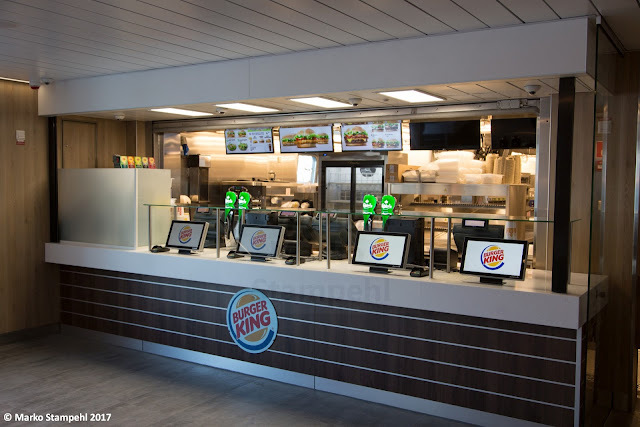 You need to experience it!